Every day, every hour, we are presented with choices. In this second post of the series, I’d like to talk to you about a decision that we face everyday, but often fail to recognize it as a decision at all. We skip right over it because too often we forget that we have another choice–a better choice–with the power to impact not only our own life, but the lives of people around the world. I’m talking about making a choice to pray. Before you surf away thinking that post isn’t important or that it has been said before, please hear my heart: I believe a choice to pray is one of the most important decisions that you will make today, and I want to tell you why. As I write this post, the Islamic State, in their on-going effort to terrorize people around the world, has abducted 250 Assyrian Christians. A few weeks earlier, 21 Egyptian Christians were brutally beheaded by the group with a warning message to the “Nation of the Cross.” In this and other graphic demonstrations of brutality, it is clear that their greatest weapon is not munitions. The greatest weapon in the ISIS arsenal is fear. Every time we read yet another disturbing headline (and I don’t have to tell you that this happens multiple times a day), we have a decision to make. When we encounter a report that is overwhelming upsetting, we typically choose the option that appears to be our only option: We flip the channel or turn off the radio and move on with our day. After all, we think, sitting in the safety of our car or sofa, what can we do? We are powerless to make much of a difference anyway … or are we ?? Scripture tells us that we have another choice: It’s the same choice that King Hezekiah made when faced with army of 185,000 Assyrians. Instead of feeling powerless, we can choose to pray. If we truly believe that we have a God who can move mountains, raise the dead, defeat giants, and defeat massive armies… not to mention create the heavens and the earth and everything in it …. in ways we cannot begin to imagine. I have to be honest here, and this has been on my heart for a few weeks: I’ve been watching and waiting for the Christian leaders to speak up and call Christians to put aside denominational differences and enter into a time of collective prayer. At a time when ISIS has declared war on the “Nation of the Cross,” shouldn’t we follow the example of scripture whenever God’s people were under attack by calling for prayer? I’m still waiting. Meanwhile, terrorists continue to launch flaming arrows of brutality and set them to air, hoping to achieve their goals by spreading fear from nation to nation. We don’t have to comply. Instead, we can choose to pray. The enemy wants to instill fear, but when we choose prayer, we have a promise that God will replace fear with a supernatural peace. The antidote for the deadly poison of fear is prayer. Oddly, we can often wear worry like a badge. A rusty, worn-out, ugly badge. The truth is that God never intended for us to live our lives in worry. He calls us instead to prayer and reminds us of the real power found in the peace that it brings. It’s like this: the more we pray, the more we draw near to God, and the more we draw near to Him, the more He reveals to us about His love and faithfulness. When we (finally!) understand the depths of that love, worry dissipates like a dark fog in the morning sunshine. You truly believe God is in alive, powerful and listening to your call for help. You truly believe that God honors His scriptural promises and that they are available to you. You truly believe that you have access to God’s throne that has been given to you through Christ. You truly desire an active relationship with Him. If we believe that we have a God who does love us, as scripture says, then it would only follow that our actions and our choices be in line with those beliefs. This blog is centered around motivating people to press on to the marvelous life that God has prepared for us. 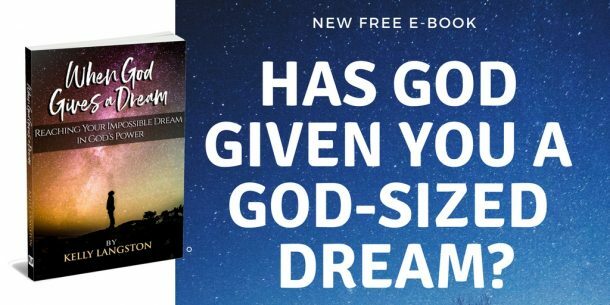 When God places a dream on your heart, He doesn’t expect you to simply grab it and go. Instead, He is inviting you to an adventurous life, walking hand-in-hand with Him in the adventure. He is going to push you to do things that are beyond your ability which will glorify His name. That journey always begins in prayer. The entirety of the journey is hidden in His hand, like a map rolled out little by little. When we go to God in prayer each day, He reveals the next steps to take. It’s like a beautiful dance with the Father, as we move in prayer from step to step and ultimately to the place that God has prepared for us. Prayer doesn’t have to be hard! Think of it as a conversation with someone you love over coffee. Often we try to make prayer harder than it has to be. When you pray, just be real. Just be YOU. There’s so much more to come! Please join the conversation on the blog! 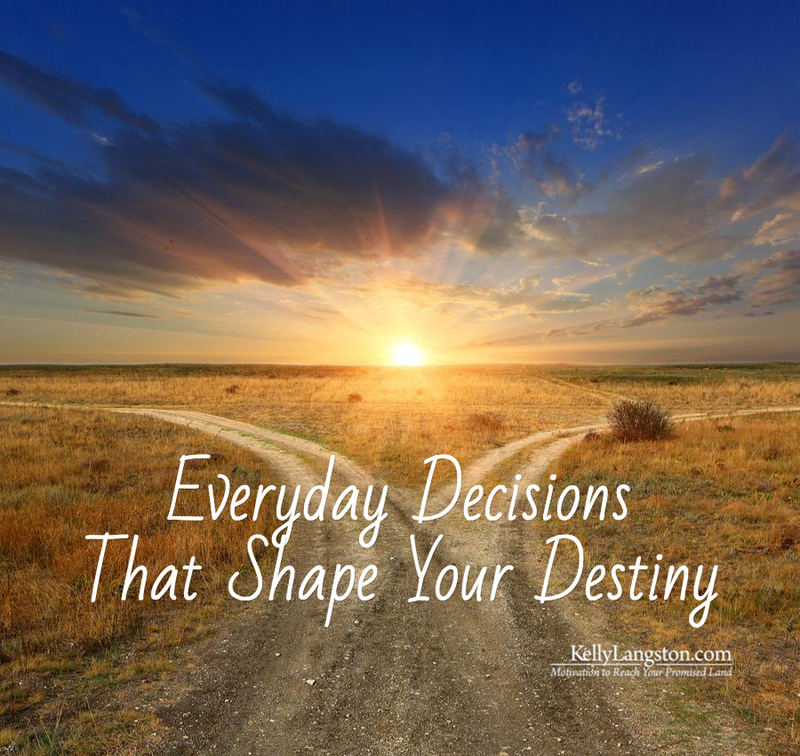 Join me for the next few weeks as we look at Everyday Decisions that Shape Our Destiny. Also, would you mind sharing this post with anyone who would be interested coming along for the blog study?